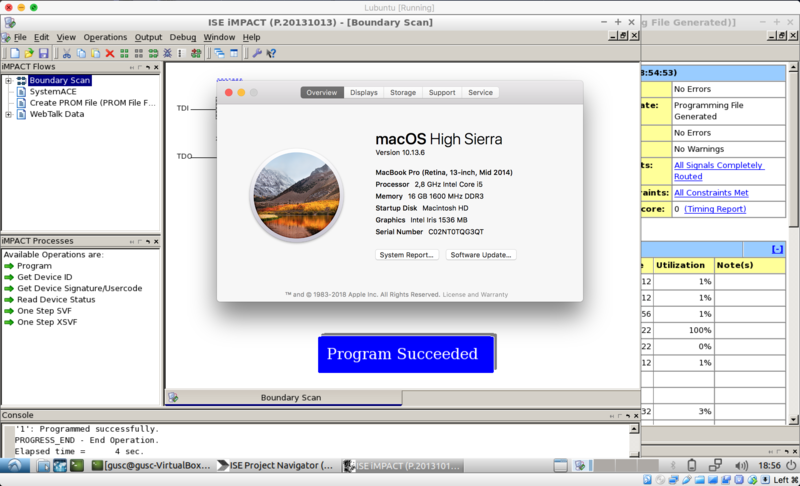 Xilinx does not provide official installation of their FPGA IDEs for macOS, but there’s a nice way around – by using a Linux running on virtual machine. There’s an older how-to for Ubuntu, but I prefer to keep it light weight and went for Lubuntu instead. After installing the VirtualBox and downloading Lubuntu LiveCD, go and create a new virtual machine with at least 40GB of disk space (you’ll actually need less than that, but ISE download is huge and the same is the installed version – you’ll need some legroom). Mount the LiveCD and install the bare minimum Lubuntu with GUI. After installing the Lubuntu, open the web browser inside it and download ISE WebPACK installer. And you’re set, now if you’ve set up everything as I’ve said, type ise in the terminal and it should open up ISE WebPACK. 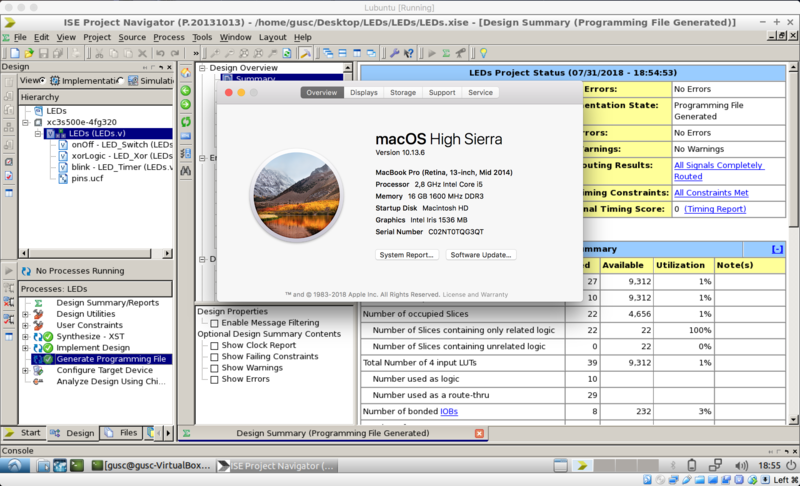 Don’t forget to pass the Xilinx device to Lubuntu from macOS in VirtualBox Devices -> USB menu.